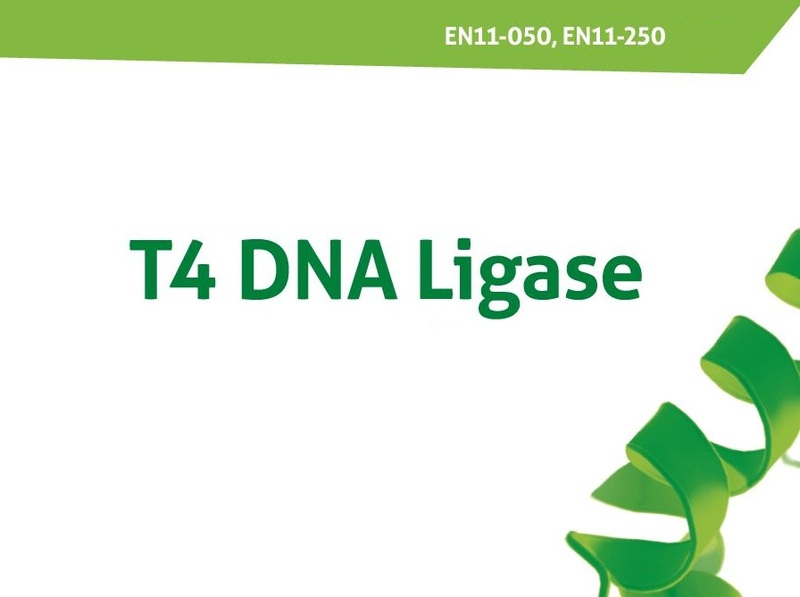 T4 DNA Ligase is an ATP-dependent recombinant enzyme isolated from Escherichia coli strain used to clone DNA. T4 DNA Ligase catalyzes the formation of a phosphodiester bond between juxtaposed 5′-phosphate and 3′-hydroxyl termini in duplex DNA or RNA. It will join both blunt-ended and cohesive-ended restriction fragments of DNA, as well as repair single-stranded nicks in duplex DNA, RNA or DNA/RNA hybrids. ATP-dependent recombinant DNA ligases over-expressed in E. coli. Available also in special formulation for very fast and efficient ligation of DNA fragments with compatible cohesive or blunt ends in 5 and 15 minutes respectively. Molecular cloning of PCR products or restriction fragments. Joining double-stranded oligonucleotide linkers or adaptors to DNA. Nick repair in duplex DNA, RNA or DNA/RNA hybrids. LM PCR methods (Ligation Mediated PCR). One (Weiss) unit of T4 DNA Ligase catalyzes the conversion of 1 nmol of 32P from pyrophosphate into Norit-adsorbable material in 30 minutes at 37°C. One Weiss unit is equivalent an approximately 200 cohesive end units.